Deadline is reporting that Art Marcum and Matt Holloway (Iron Man, Transformers: The Last Knight, Men In Black: International) are in final talks to write a new draft of the Masters of the Universe script for the long delayed He-Man film based on the bestselling 1980s toy line. Fans have been clamoring for a new He-Man film since it was first announced way back in 2007 with John Woo in talks to direct. Since that time a slew of contenders have vacated the director’s chair, including McG and David S. Goyer, and the project jumped from Warner Bros. to Sony. Goyer was the latest director to jump ship and was quickly replaced by the Nee Brothers, Aaron and Adam Nee. Goyer also wrote the previous draft, so, at the very least, bringing in Marcum and Holloway is a clear sign things are moving forward, though the film is unlikely to make its projected 2019 release date. Masters of the Universe is based on the Mattel toy line character He-Man, which led to an animated series that ran from 1983-1985. Masters of the Universe follows Prince Adam, who has the ability to transform into a warrior called He-Man, the last hope for a magical land called Eternia ravaged by technology and the evil Skeletor. Originally launched as a popular Mattel toy line in 1982, Masters of the Universe spawned several animated series (including the female-driven spinoff cartoon series, She-Ra: Princess of Power) along with a 1987 live-action film. Directed by Gary Goddard, the first Masters of the Universe movie stars Dolph Lundgren as He-Man, Frank Langella as Skeletor and, in one of her very first big screen roles, a young Courteney Cox as Julie Winston, a teenage character created specifically for the film. 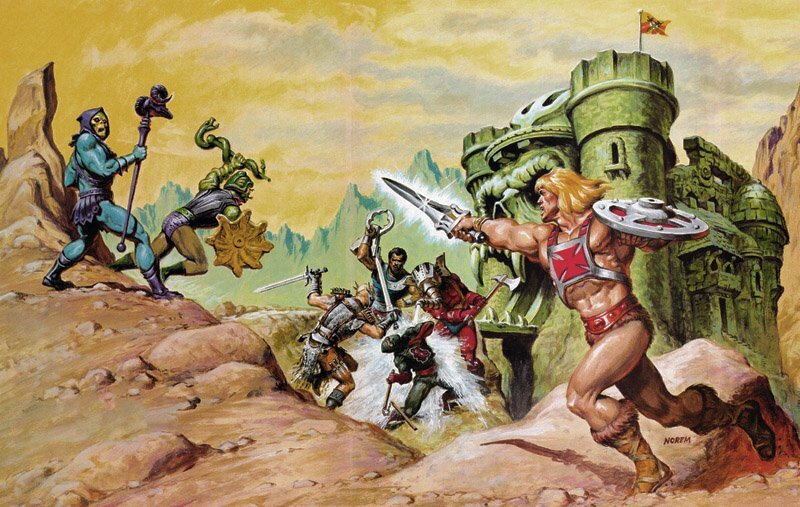 Masters of the Universe will be produced by Todd Black, Jason Blumenthal and Steve Tisch from Escape Artists. Mattel executives Julia Pistor and David Voss will executive produce for the company. Sony’s Matthew Milam will oversee. Masters of the Universe is set for release on December 18, 2019. The post Masters of the Universe Script Gets Art Marcum & Matt Holloway Rewrite appeared first on ComingSoon.net.